Understanding Contacts: Are They the Right Solution for You? Home » Understanding Contacts: Are They the Right Solution for You? 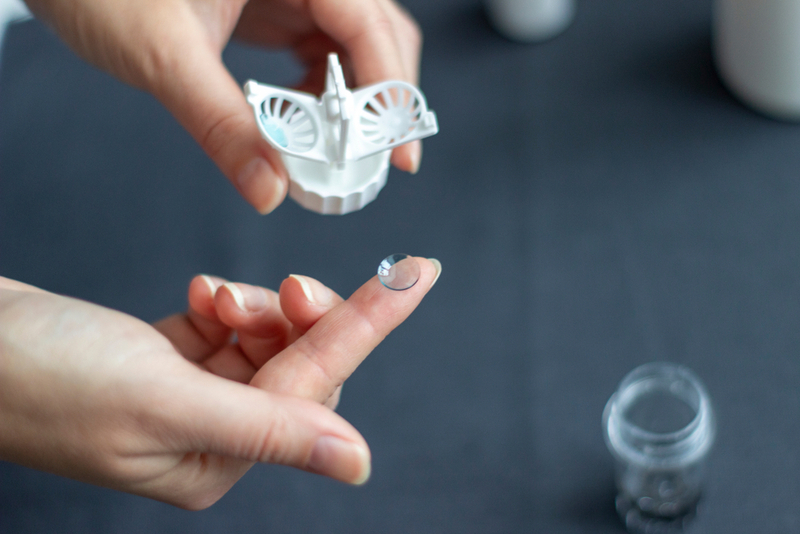 There are several different types of contacts, including extended-wear contacts that can be left in for a little longer than daily use contacts, soft lenses, rigid lenses, disposable contacts, and reusable ones. (Learn More) To use contacts, you will need to be comfortable placing things into your own eyes. (Learn More) It is also important to take good care of your contacts, being sure to clean them properly, change them when directed, and follow your doctor’s directions on how to use them correctly. Contacts have some risk factors, and they may not be ideal for everyone. (Learn More) Ultimately, contacts can be a wonderful tool for correcting vision. This guide can help you decide if they are right for you. Aside from eyeglasses, contact lenses are considered one of the safest methods for correcting refractive vision errors. 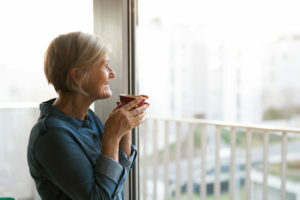 When you are nearsighted and suffer from myopia, for example, light is focused on the front of the retina instead of directly on it, which can make things in the distance seem blurry and out of focus. With hyperopia, close things appear blurry, as light is focused too far to the back of the retina. Contact lenses are placed directly on the eye to change the refractive surface, and the National Eye Institute (NEI) explains that this can help you to focus better. Contacts may also give you a wider field of vision than eyeglasses since they sit directly on the eyes. Peripheral vision is therefore not obstructed. They also do not change your physical appearance and can seem more comfortable and aesthetically pleasing. Contacts can be safer to wear while playing sports as they conform directly to the eye. Contacts are also not impacted by weather and won't fog up like eyeglasses can. If you are suffering from a common refractive error that requires prescription eyewear, contacts can be a good option. The American Optometric Association (AOA) publishes that the majority of people who wear contacts do so to correct myopia, or nearsightedness. Contacts can also correct hyperopia and astigmatism too. Contacts require a prescription from an eye care professional. The first thing to do when deciding on whether they are an option for you is schedule an eye exam with a professional. An eye doctor can measure your eyes, your level of refractive error, and your eyes’ exact shape, so contacts are fitted to you specifically. The initial portion of the eye exam will be similar to an eyeglasses exam, and you will likely read numbers and letters on a chart. A contact lens exam takes things a bit further, as exact measurements of the curvature of the eye, specifics of the cornea, and the size of the pupil will need to be examined for an ideal fit. A keratometer is a specialized tool that measures the curvature of your cornea and eye's surface and how light is reflected. A corneal topographer and a computer may be used to digitally measure how the light is reflected off your eye, often using wavefront technology for precise measurements. You will be evaluated for tear production. Oxygen may not travel as freely in and out of the eye while wearing contacts, so it is important to have sufficient tear production. The size and shape of your pupil will be measured, often with automated instruments. A slit lamp, or biomicroscope, can determine the health of your cornea and how contacts will fit onto your eyes. The doctor will fit you for contacts and put in a trial pair to see how they work. It can take a few minutes for your eyes to adjust and stabilize. Then, the doctor can use the biomicroscope to determine how it moves with the eye and if it is a good fit. Your eye doctor can write you a prescription for contacts based on the shape of the contact needed, the power of the lens, and the diameter needed for the optimal refractive correction and comfort. There are several different types of contact lenses to choose from. AOA publishes that the initial contact lens exam will take about an hour or so, and your doctor will determine if you are a good candidate for contacts. If you are, they will set you up with a prescription, go through contact wear and care information, and discuss follow-up care. It may take a few visits initially to set up contacts and then an annual exam to check on the prescription. An eye exam for contact lenses typically costs a bit more than a traditional eye exam for eyeglasses, as it is more in depth and takes longer. Per year, the cost for contacts can be a few hundred dollars depending on the type of contact worn and the frequency with which they need to be replaced. AOA reports that contact lens and exam costs vary, and there is no standard fee. The cost of the initial exam, lens care training and kit, follow-up visits, and contact lenses themselves may all be included in your fees. Insurance can help to cover the cost of contacts and necessary exams. Not all contacts are the same. Your eye doctor can help you to decide which ones are going to be best for your eyes and your lifestyle. In general, the main differences in types of contacts are between soft and hard lenses as well as disposable and reusable ones. Rigid, gas-permeable lenses (RGP) or hard contact lenses: AOA publishes that RGP lenses are made of plastic that is slightly flexible and allows oxygen to pass through them relatively freely. They can be used to correct most refractive errors, including myopia and corneal refractive therapy. They also come in bifocals where both hyperopia and myopia are corrected for in the same lens.RGP lenses provide some of the highest quality of refractive error correction and therefore visual clarity. The eyes typically take a little time to adapt to them, and they can be easy to care for and use.RGP lenses are reusable. They can have a long life of a few years if your prescription remains the same and they are properly cared for. They do need to be worn consistently for the eyes to adapt to them. It may be easier than with other lenses for dirt particles to get underneath them and for the lenses to slip off the center of the eye. Daily wear soft contact lenses: These are typically some of the least expensive contact lenses. They can correct for myopia, hyperopia, astigmatism, presbyopia (age-related hyperopia), and corneal irregularities.Mayo Clinic reports that your eyes are more apt to adapt to soft contacts quicker than rigid ones, and most people wearing contacts opt for soft lenses. Daily wear soft contact lenses need to be taken out and cleaned every night and will need to be replaced at specific intervals as they will wear out.Vision may not be as sharp with daily wear soft lenses as with RBP lenses. However, they are typically considered to be more comfortable, good for an active lifestyle, and harder to dislodge. Extended-wear soft contact lenses: These soft contact lenses can be worn for a few days and possibly even up to a week. Leaving them in overnight does increase the potential risk for eye infection. They do need to be cleaned at least once per week at the minimum.Most are approved for seven-day use, and there are even some extended-wear lenses that may be able to be left in for longer. They will require more follow-up office visits and monitoring to ensure their safety. Disposable soft contact lenses: Disposable lenses are thrown own; therefore, they do not need to be cleaned and disinfected. They are used for the specified length of time, which may be a day, a week, or a month. Then, they are discarded and replaced with new ones.These types of contact lenses can be more expensive since you will need more of them more often. They can be more convenient, however. There are also specialized contact lenses in the form of hybrid lenses, tinted lenses, and bifocals. Hybrid contact lenses are a combination of hard and soft lenses, typically with a hard RGP center and an outer ring that is soft and more flexible. Tinted lenses can help to correct color perception or contrast, and they can also be tinted for cosmetic purposes. It is important to remember that all contact lenses are prescription-based. Over-the-counter tinted lenses are not considered safe to put in your eyes. When using contacts, you will need to be comfortable putting something in your eyes and removing them every day. Proper hygiene is essential in order to maintain eye health and take care of your contacts. Wash your hands thoroughly before touching your contacts or attempting to put them in your eyes. Follow the care guide provided by your eye doctor for taking care of your contacts. Rub and rinse them thoroughly before placing them in the overnight disinfectant solution. Use the provided storage case for your contact lenses and clean it regularly. Allow it to dry between cleanings and keep it open when not in use. Contact lens cases should be replaced at least every three months. Take your contacts out before going swimming or getting into a hot tub. Use fresh and new solution each time to clean, disinfect, and store your contact lenses. Use only the solution chosen by your eye doctor to disinfect and clean your contact lenses. Over-the-counter saline is not designed for this purpose. Change your contacts and contact solution as directed by your eye care professional. Replace your contact lenses on the directed schedule and be sure to maintain follow-up care. Keep up with regularly scheduled eye doctor appointments. It is generally considered safe to wear cosmetics and makeup while wearing contacts, but put it on after your lenses are in place and take your lenses out before taking it off. This can help to keep it from getting in your eyes or irritating your contacts. It is also a good idea to keep a pair of eyeglasses in your current prescription in case you need them. Be aware of any itching, burning, or irritation in the eyes. If you notice any of this, take your contacts out and contact your eye doctor. Contacts may not be right for everyone, and there are times when other options may be more beneficial. Your ophthalmologist can determine if contacts are a good fit for you. If you suffer from chronic dry eyes or difficult seasonal allergies, contacts may not be a great choice, for example. Some refractive errors may not be as easily corrected with contact lenses. Your doctor can determine if your refractive error is correctable with contacts. 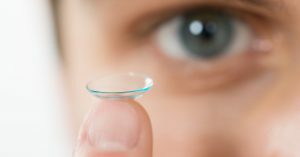 The U.S. Food and Drug Administration (FDA) publishes that contacts can be used in children, but it is often best to wait until at least age 12 or 13 to ensure that the child can take proper care of the contact lenses and use safe and hygienic techniques. Contact lenses are not without risks. It is possible to suffer from eye abrasions, corneal bruising, and possible eye infections from contact lens use. Contacts are safe and effective when used and worn as directed. Fast Facts. (July 2018). Centers for Disease Control and Prevention. Facts About Refractive Errors. (October 2010). National Eye Institute. Facts and Stats. (August 2017). American Optometric Association. Do's and Don'ts. (2019). American Optometric Association. Cost of Contact Lenses. (2019). American Optometric Association. Advantages and Disadvantages of Various Types of Contact Lenses. (2019). American Optometric Association. Contact Lenses: What to Know Before You Buy. (October 2015). Mayo Clinic. Healthy Vision and Contact Lenses. (2019). American Optometric Association. What You Need to Know About Contact Lens Hygiene & Compliance. (2019). American Optometric Association. What to Know if Your Child Wants Contact Lenses. (August 2017). U.S. Food and Drug Association. Why Do Contacts Sometimes Cause Cloudy Vision? Can You Sleep With Your Contacts In? How Long Do Contacts Last? Which Types Are Best? Contact Costs in 2019: How Expensive Are They?